When Ray Walters started Ace Plumbing and Heating in 1979, he knew the secret to long lasting success was to never compromise on quality, keep prices competitive, and make absolutely certain the client is satisfied before asking for payment. 40 years later his son Brian, with wife Corallee, and their staff of nearly 85 professionals carry on the same tradition. 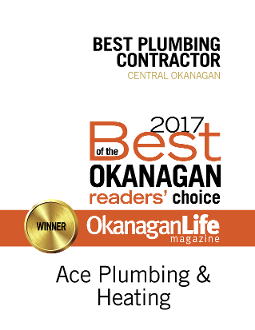 Ace Plumbing & Heating, now a division of Bricor Mechanical Ltd., provides one stop shopping when it comes to residential, commercial / industrial design, sales, installation, service and maintenance, air conditioning, ventilation, refrigeration and controls. 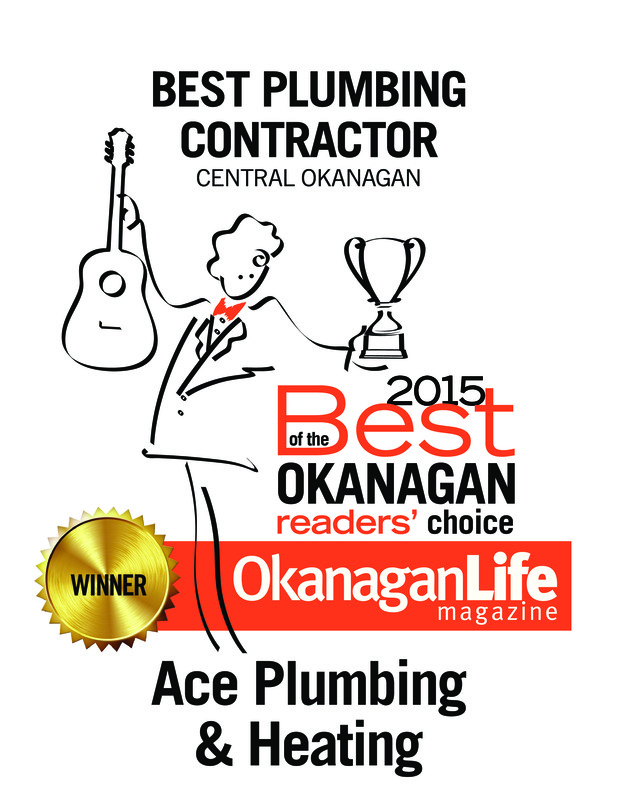 Ace Plumbing & Heating is a full service plumbing and heating company. We offer all levels of plumbing service from service and repair to full new home construction plumbing. 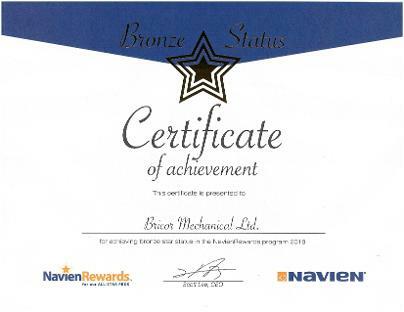 Our heating division can service your residential heating and air conditioning systems, upgrade to new efficient systems or install a full HVAC system in your new home. Ace Fireplaces can install the fireplace of your dreams in your existing home, new residence, or your commercial establishment. Please come in and browse around our site and then contact us for all your plumbing, heating, air conditioning, and fireplace needs. We hired Ace for an exploded outside hose bib. The technician was courteous and kept us informed. He explained to us that due to the location of the hose bib it would be a little more complex to re & re as he had to cut up into our ceiling of our basement to gain access. He worked continuously until the job was complete. 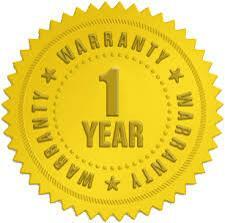 I was extremely happy with how he was up front about all costs and that he kept us involved during each part of the repair. 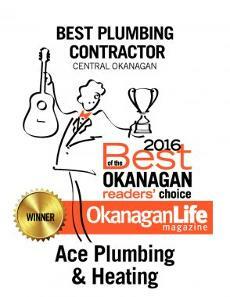 I would use Ace again for any plumbing or heating need. Had ace plumbing install hotwater tank/ water lines and drains.The job got done on time and ready for inspection. We are very happy. Brian Walters, President of ACE Plumbing & Heating accepting the 2017 Carrier Dealer Award for most sales in British Columbia for the second year in a row.